We will not be extending the 2018-19 school year because of the recent snow day school closures. We have budgeted for snow closures and school disruptions in our schedule, and we are still well within our required hours (1,000). If you have any questions, please contact Assistant Head of School Meg Goldner Rabinowitz. Come join us on Wednesday, March 6, at 7:00 pm, at the Broadway Performance Hall for our Spring Dance Showcase. 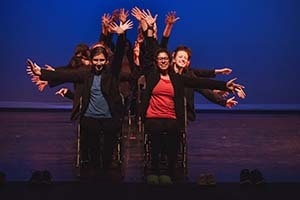 Students will be presenting jazz, hip hop, contemporary, musical theater, bachata, and the lindy hop. We can't wait to watch them shine onstage! 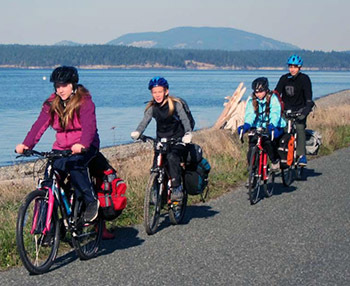 Come join us on the final Outdoor Program trip of Trimester 2 as we spend a weekend biking around the San Juan Islands. More information about the trip can be found on the Outdoor Program webpage. We will also be running ski busses on March 1, 7, and 14. If you have any questions about the ski bus, please contact Sarah Eklund. The application for the class can be accessed here, and questions can be directed to Megan Reibel, Erin North, or Ryan Griffiths. Interested 10th and 11th grade students should apply online by end-of-day on Sunday, March 3.